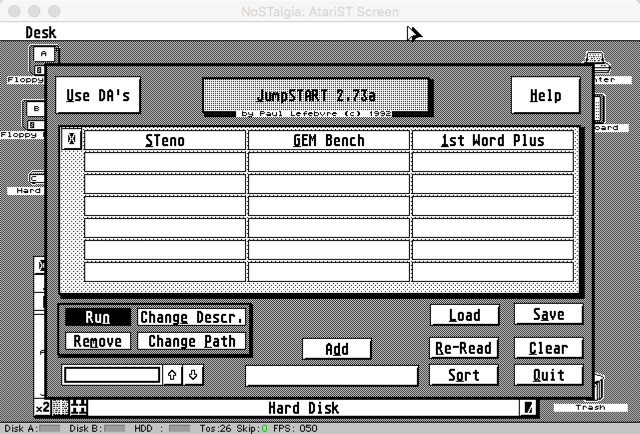 A long, long time ago (1989) one of the first apps I ever made was an app launcher for the Atari ST. I called it JumpSTART. I originally wrote it in GFA BASIC and then later re-implemented it in Pascal (OSS Personal Pascal, technically). When I got my first modem I went online with Genie and Delphi and uploaded JumpSTART as freeware. Even though it was freeware, I got a few checks in the mail from people that liked it. I was reminded of JumpSTART when I saw my dock getting crowed. 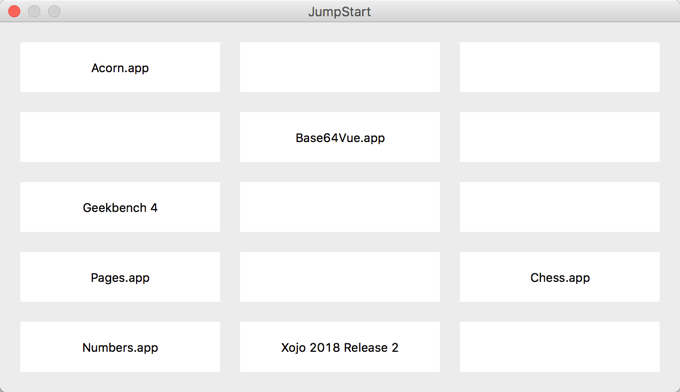 I thought replicating JumpSTART in Xojo would be a good project for week 8 of #JustCode. Though let’s just call it JumpStart this time around. The Xojo version automatically saves and loads the apps you’ve added so there was no need for separate Load/Save, Re-Read buttons. Technically they don’t have to be apps as even a document file can be launched as well. You can right-click on an app button after you’ve added it to Rename, Change or Clear it so that also removed the need for some UI controls. And you just click on an empty button to add an app to it. When you click on a button with an app assigned, the app is launched and JumpStart hides itself. This Xojo app demonstrates the use of a Canvas-based button, ContainerControls added dynamically to a window, and saving/loading JSON. The Canvas-based button will let me tweak the display, colors and maybe display an icon there. You can download the project or check it out on GitLab. As an added code treat, I’ve posted the original JumpSTart Pascal code to GitHub. FWIW, the original Pascal source is just over 1300 lines of code. The Xojo version is about 180. 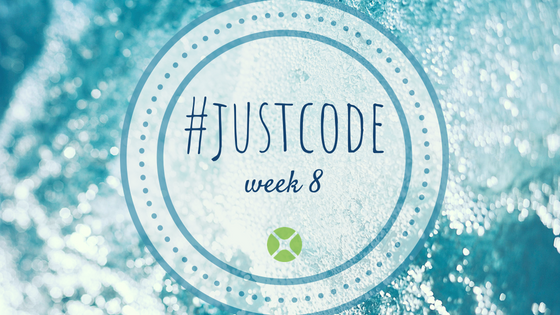 Add your #JustCode project to the week 8 forum conversation.